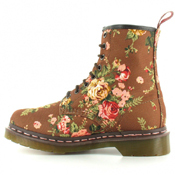 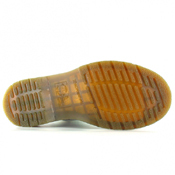 Dr. Martens R11821260 8 eye 1460 w Taupe Victorian flowers. No matter the season, these floral Dr.Martens are both classic, and fashion forward. The ageless silhouette of the 8 eye boot in a comfortable, durable canvas. 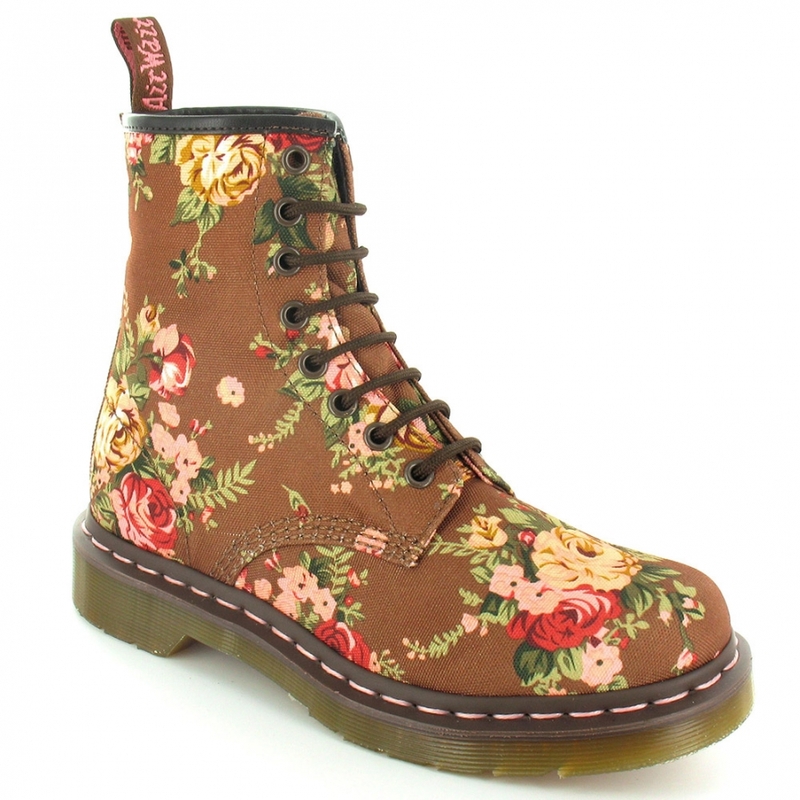 The brown base colour is detailed with soft Victorian style roses that add a touch of felinity and class to this tough boot. You can trust in the name Dr.Marten.